Vehicles endure extensive wear and tear from the rigours of everyday use. Due to the extreme heat of summers in Dubai, drivers are often left with no choice but to crank up the air conditioning inside the vehicle to compensate for the heat. These contrasting conditions outside and inside the vehicle have a negative effect on the vehicle’s windshield. According to research, extreme heat can cause the resin and internal layer of a windshield to breakdown. On the other hand, extreme cold can make glass weaker and more prone to small cracks and splits. If you find yourself faced with the challenge of dealing with glass damage, there is one name you can always turn to – DITEC Dubai, your professional experts in auto glass repair. DITEC Dubai provides world-class car glass solutions to address damage of varying severities. From small splits and cracks to extensive combination breaks, our in-house experts can help you get things fixed quickly. For small cracks, our technicians have a special technique where we apply specialised liquid resin on to the target area and cure it with measured UV lighting. This allows the resin to bond with the glass material. Following this, any residue from the repair process is scraped off and polished away to virtually erase any trace of the split or crack. Aside from physically addressing the aesthetic aspect, our technicians can also make sure that the repaired panel retains its structural integrity to ensure your safety on the road. DITEC is an international car detailing company with branches all over Europe. DITEC Dubai brings the same extensive technical knowledge and industry experience to the UAE, so customers can benefit from cutting-edge solutions to auto detailing challenges. If you are looking for experts in car glass repair, Dubai is home to one of the leading names in the industry today – DITEC. Whether you are dealing with a cracked windshield or a fading paint job, we can get the job done. Interested? Get in touch with us today and receive a quote from us. Or you can visit our shop personally, so we can give you a tour of our facilities. Eco-friendly Services. Premium services for new and used cars. Ditecs Dubai branch opened for business in April 2015 in Al Qouz 4 Industrial area. 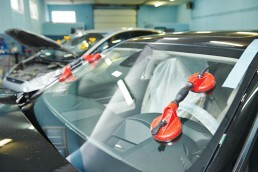 At our modern facility, we offer protective coatings, car polishing, window tinting and other car care related services.